Do I need to pump my septic tank? 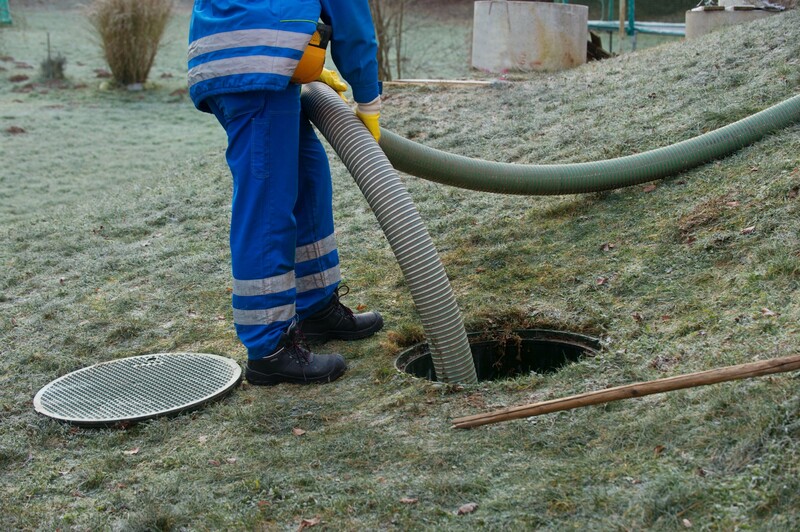 All septic systems require regular tank cleaning! The recommended cleaning frequency is 1 to 3 years- depending on household water use. A family of 6 is going to create 3x as much wastewater as a family of 2, increasing the importance of more frequent cleanings. The cleaning frequency is greatly dependent on the volume of wastewater being pushed into your septic system (big family = more frequent cleanings). We would be happy to help evaluate your situation and proper cleaning frequency. As well, we can help set you up on a regular and/or automatic cleaning schedule. We’ve all heard “that guy” talk about how they’ve lived in their home for the past 18 years, have never cleaned their tank and has never had a problem. This is the equivalent of him saying he has owned his vehicle for the past 2 years and never once has he needed to change the oil. It may be running now… but a day is coming he will have wished he did some regular maintenance. The most important thing to understand regarding your septic tank system is that you don’t just pump the tank once it “fills up”. A septic tank is designed to function “full”. 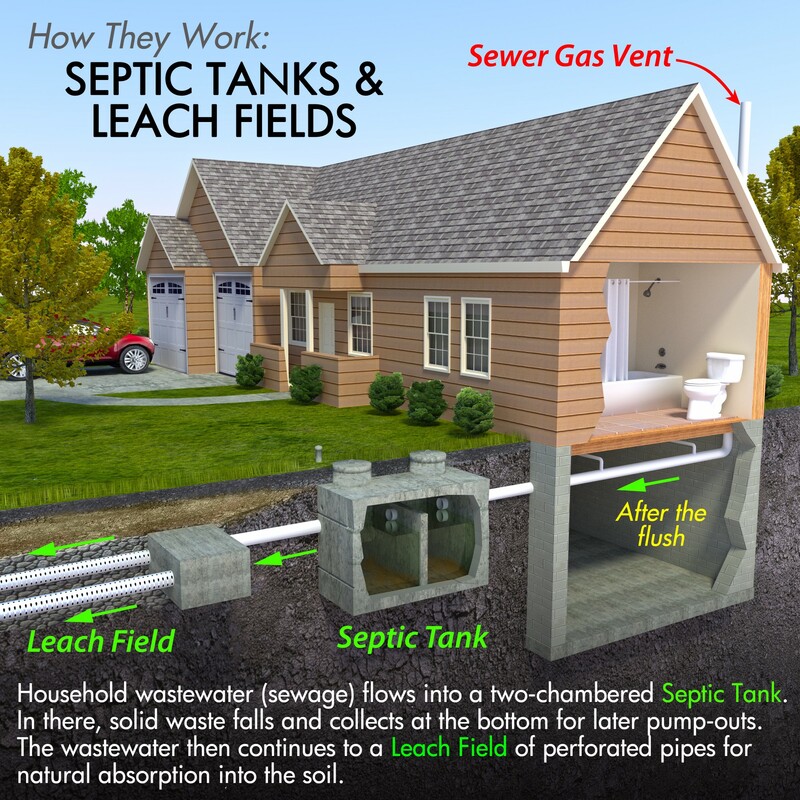 The average septic tank is 1000 gallons. The average household uses 1000 gallons of water each week. This means it takes only a week for a tank to fill back up after a cleaning! The difference is all the solid waste and “sludge” that built up over the previous 2 years was removed when the tank was pumped, filling back up with 99% water. This is the actual point of “pumping” the tank. The longer you allow the solid waste and sludge to build up in your tank, the greater risk you run of that material finding it’s way out of your tank and into your drain field. Solid waste and sludge take no time at all to destroy a drain field once that material begins to plug up the drainage system (perforated pipe/stone/sand). The damage this causes is permanent and irreversible. It will eventually lead to total field failure and require a complete septic field replacement. The easiest and most affordable way to extend the life of your septic system is to make sure only the “cleanest” water possible is going into your septic field. That is best accomplished through regular septic tank cleanings. When you schedule your tank cleaning with Bolton Septic, we make sure to answer all your questions and address any concerns up front. We take extreme care to treat your yard, landscaping & driveway as if it were our own. We will meet you at your home and explain the septic cleaning process at the time of service (if interested). If you’d prefer we handle it 100% while you’re at work… we can explain the process over the phone and take care of it while you’re out. Either way, our goal is to make cleaning your septic tank as easy and painless as possible.